Bringing your pet along on a vacation to Delaware can make you feel like you’re on vacation with the whole family. If you need something for them while you’re all here, there are plenty of places to stop by at the beaches, in the capital region or around the Wilmington metro. If you had to leave your furry or feathered friends at home, you can pick them up a gift to bring home. 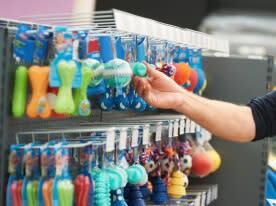 And the best is, as with all shopping in Delaware, all your pet supply needs are tax-free.